General Biologicals Corp. (GBC), founded in 1984, is the industry-leading in-vitro diagnostic device manufacturer in Taiwan. GBC is certified with IVD Class III, GMP and ISO 13485:2003. GBC has offices in Taipei, Hsin-Chu, Kaohsiung (Taiwan), Irvine (USA), and Vancouver (Canada). GBC has developed a wide spectrum of technology platform in various diagnostics products such as Raw Materials (antibody & antigen), Radioimmunoassay (RIA), Enzyme-linked Immunoassay (ELISA), Point-of-Care Test (POCT) and Real-Time Polymerase Chain Reaction (RT-PCR). In addition, GBC has its own intensive sequential vertical technology platform of hybridoma techniques, cell culture, genetic engineering, protein purification and peptide synthesis, assay, coating, fill-in and labeling. We'll be glad to have a meeting with you at our booth#SAK75. We'll be glad to have a meeting with you at our booth 3H14/ HALL 3! 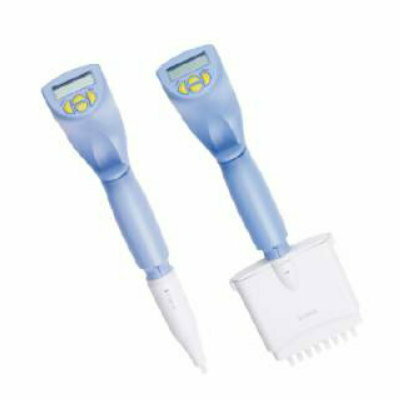 The GB Tronic is one of the simplest electronic pipettes to set up and comes with two long-life and easily exchangeable lithium batteries for uninterrupted pipetting for a long time. Apart from standard pipetting, users can choose between the most widely used pipetting modes, including reverse pipetting, multi dispensing, mixing and sequential dispensing.